As event planners, we are always on the hunt for unique wedding and anniversary gifts. When we met Patricia Dull and saw her custom tiles, we knew she had something special! We recently sat down with Paddy to learn a little more about her and her business located north of Pittsburgh. When Paddy decided to remodel her kitchen several years ago, she was interested in including decorative tiles into her design plans. Instead of the pre-made tiles that she found, she decided she wanted to something more unique – tiles with custom images. Paddy started by painting images and decoupaging pictures to see how her images would look on tiles. She decided she liked what she saw but knew that she needed a way to make the images permanent, which is especially important when her tiles are included in a wall design. Paddy studied the process of making permanent tiles and spent countless hours of research studying different kinds of tiles surfaces (such as stone and ceramic) and the various kinds of coatings (think matte, gloss, satin, etc.). She also researched and studied the color management process when reproducing the images. Her research connected her with contacts all over the world, from Nashville, Tennessee, to New South Wales to Australia to learn the process and what kind of equipment she needed. Since that early start over ten years ago, the business has since morphed into much more than just custom designed kitchen and bath tiles. 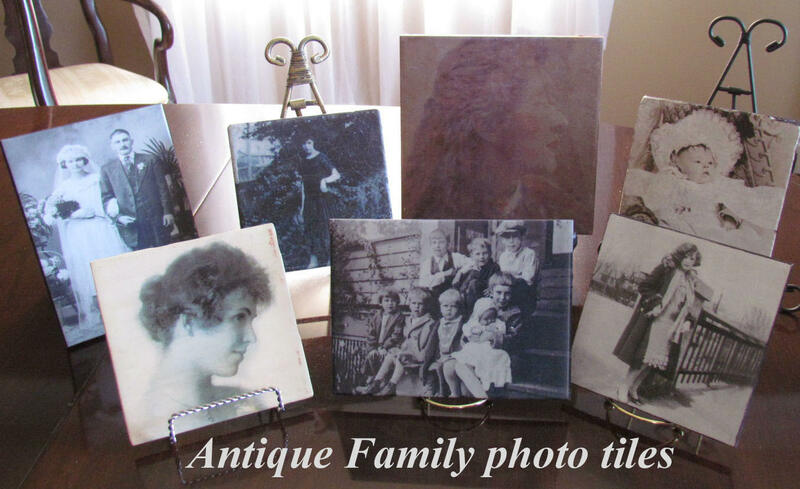 Paddy does photos on tiles, antique family photos on tiles, pet photos on tiles, and wedding invitations on tiles, name plates, collage tiles, artwork tiles and many more! Also popular are memory tiles of deceased family members for memory tables at weddings. Paddy also recently expanded her offerings to include glass tiles and glass clocks. We love the idea of saving your wedding invitation as a custom tile (instead of in just a traditional frame) – wouldn’t this make a perfect anniversary gift years later? We also like the idea of photo tiles on your memory table at your wedding – something you and your spouse can keep forever. 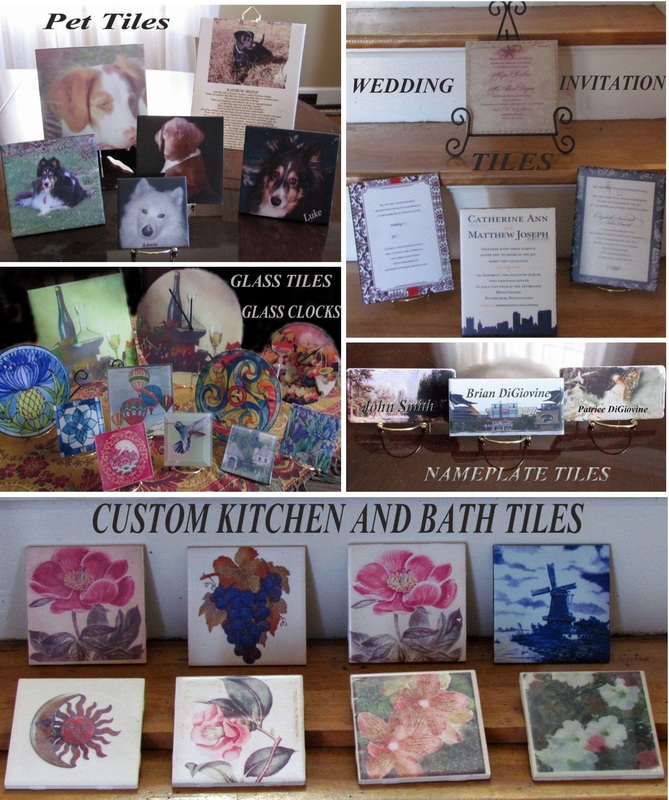 Interested in a custom tile? Contact Paddy Dull by emailing her at gypsyeyes6@hotmail.com or calling or texting her at 412-974-5680. She accepts hard copies or digital versions of your image.